We will be accepting applications for this position through June 12, 2017. Phelps Security, Inc. will be having a hiring event on May 17 from 4pm to 7pm at 4932 Park Avenue. Michael’s Tree and Loader Service, LLC is looking for two experienced tree climbers to fill two positions. Interested candidates can apply in person at the address below or online. In-person applications are accepted Monday-Friday 8am-3pm. Job Location: All of Our Clients are in their homes, we serve the greater Memphis area. Job Description: Summary: Production Workers are responsible for the safe handling of food products. Production Workers may work in a variety of roles within the plant to include loading product into a machine, inspecting product, packaging product and stacking product. Production Workers are responsible for maintaining the highest sanitation standards, performing daily audits and completing daily production paperwork. Production Workers work on various production and packaging machinery within a team environment. Production Workers will operate an electric pallet jack to stack and transport product throughout the facility. Must be flexible to work at least two (2) shifts. Must be available to work weekends, holidays and overtime as scheduled. 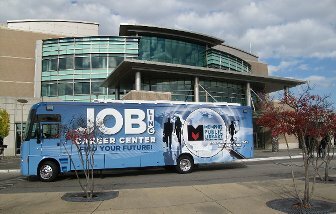 Monday – May 15th from 10:00 a.m. – 2:00 p.m.
Job seekers will be allowed to park in our Guest Parking area between 9:45 a.m. and 2:15 p.m. on this day.